As we have said before, having a beautiful, artistic website is great but not the be all and the end all. If you do not have the traffic you require or need, then you just might as well throw all your work out the window (per se). How do people surf the web? 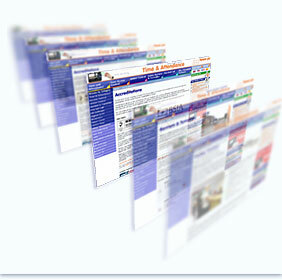 When looking for something on the Web, the usual course is to go through the main, major search engines. They then get a list of Web Sites that seem to contain the information they are looking for, based on search terms or keywords typed into search engines. 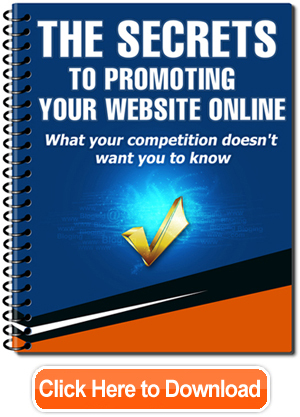 Your Website needs to be at the top of that list in order for you to maximize traffic. The further you are at the top of the list, the more viewers or visitors you will have from the search engine users. The good news is that people have been making Classic SEO Mistakes for a while now and we are now able to warn you about them. Before you decide on reading something, what is the first thing that needs to catch your attention? The title. 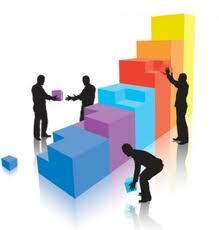 A title stands out and it is taken into great consideration by the search engines as to what the page is about. The titles you choose for your pages must be relevant, unique and must directly reflect the content included. If you name all your pages the same, the search engines will assume they all carry the same content and your website will be penalized. 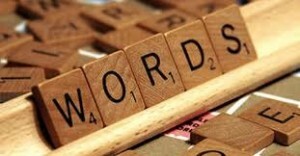 Do not forget to include your primary keyword within your title too. This mistake is so common, that there is now technology developed for webmasters, which will immediately and automatically pick up on any close similarity in titles across pages. A few years ago, there was a pattern of creating pieces of writing completely and utterly stuffed with keywords, making the articles nonsensical and just a compilation of gibberish. However, back then, that would put your website right at the top of the main search engine lists. As you can imagine, that is all over now and it is another factor that could cause a penalty. Your site could even be blacklisted. Make sure that your content is readable; it has a measure of quality to it and has a reasonable (natural) amount of keywords in it. This can be a bit of a confusing point for many people. It is often confused with a broken link. A bad URL is a link which cannot be found, clicked on or visited. The difference between a broken link and a bad URL is that a broken link once worked and now does not – a bad URL never did. 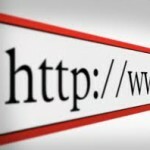 There must be no bad URLs within your website. A proper Sitemap can create many benefits for a blog. What a sitemap does is, it connects all the pages within a website and offers the search engine robot a means to understand which pages link to which other pages. 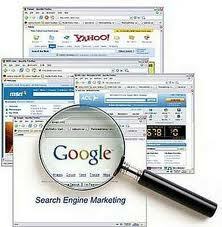 The automated system that the search engine uses will know where to go after indexing the first page. There is nothing worse however than a broken link. When a robot or even a person for that matter tries to visit a link which no longer exists, it is far from preferred. Make sure you keep checking that your links work throughout the lifespan of your website. There is no doubt about it; a page looks much more appealing with eye catching pictures. However, keep in mind that search engines typically need minimum 250 to 300 words in order to get a thorough idea of the subject of the web page. So just keep in mind that you must leave enough space in between your artistic creation for the appropriate amount of text. This point in particular is overlooked way too often. It is very important and very easy to link your pages together. Make sure you create a good linking network between your pages because it will no doubt raise the quality of your website and in turn will help with the search engine optimization. Many people simply do not know about this issue. When inserting images onto your webpage, you have the choice of adding a title tag. Only by adding this ‘title tag’, it counts as extra text and it can add considerably to the optimization of the whole page. Just make sure that the tag is connected to the keywords and to the general content of your site. By doing this, you will immediately rank higher with the major search engines by using a simple HTML code. The importance of Meta keywords is overrated. Major Search Engines such as Google, Bing and Yahoo, do not actually use the Meta Keywords to see what the page is about. 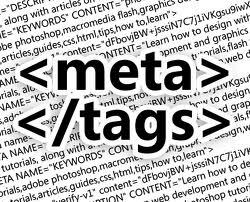 Do not waste too much time on finding the best Meta Keyword text because it has proven to be quite useless. In addition to a plain waste of time, it is also giving out sensitive information to your competitors about what keywords you are using for your optimization campaigns. If you are completely set on building Flash only sites then at least make another one which is an HTML version. Once again this goes back to wanting to achieve your aesthetically perfect dream website. Which is great do not get me wrong but you will be simply jeopardizing your chances with the search engines and thus with any potential visitors. This is a typical mistake made by people who have a bad understanding of search engine optimization principles. Last but certainly not least, using Header Tags. If you use Header Tags like H1, H2 and H3, you have an immediate advantage. Search engines pay a great deal of attention and weigh the words that you put under the header tags in the ranking process, so you will see the effect on the SERP (search engine results page). If you avoid the above 10 Biggest SEO Mistakes, you will have higher ranking and a considerably increased traffic in no time! This entry was posted in Blog, Google, Search Engines, tutorials, Yahoo and tagged SEO, seo mistakes. Bookmark the permalink. Thanks a lot became clearer. Google SEO put my website on top tremendously, VodaHost tutorial guide me, am blessed to be part of world wide internet publisher, thanks to Blogger for my platform, Youtube Facebook Twitter Yahoo. Thanks Brad. Dear Sir,I really appreciate this information mostly especially,’10 Classic SEO Mistakes to Avoid’and also the book have downloaded …its really a great! one .. Pretty good summary of SEO. Thanks for the article. This post truly made my day. The information is great! Thank you! Completely agreed. As a writer, I’m partial to #5, but they’re all good tips. Any time it comes to building a website, you really need to pay attention to every detail!